The photoelectric sensors are safety sensors that detect an obstruction in the path of an operating electronic garage door. There are two sensors on each side of the door, only a few inches from the garage deck. One sensor has to see the other one. If the line of sight is blocked by a person, pet, or object the door will not close. Quite often, on hot summer days when the door is up, the glare of the sun will shine directly on the face of the sensors causing a reflection that distorts their line of sight. Here are a few easy steps to stop this from happening. Use an inner-tubing made of cardboard such as that of a roll of paper towel, toilet paper, plastic wrap, or aluminum foil. Its diameter should be big enough to fit over the photo eye. Make sure that there is a snug fit. If it is loose, consider alternate size tubing. Once you have a good fit, cut it to around two to four inches in length. Apply pressure to the cardboard tube until it has an oval shaped opening instead of being circular. Place it over the sensor. The end of the tube should protrude two to three inches past the ending of the garage door sensor. Both photo eyes should be cover. One side will deflect the morning sun and the other will deflect the even sun. The tube should extend straight outward so that it doesn’t touch or break the path of the beam from the sensors. In this case, a blockage would prevent the sensor from communicating with one another, obviously causing the overhead garage door to not operate. Now that you have found the right length of tubing that deflects the direct sun light from hitting the face of the sensors, take a trip to the hardware center and buy some rubber tubing the same length as the cardboard one. Plastic will also work. 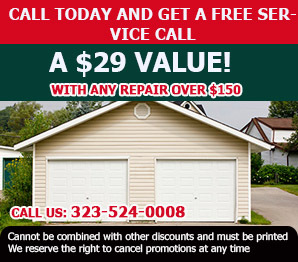 Make sure that it is durable and can stand up to severe weather climates. 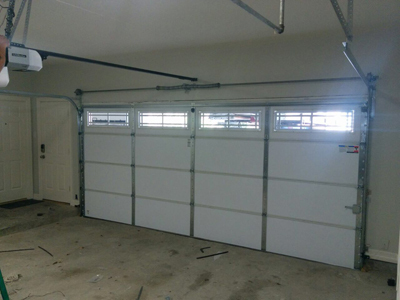 So the next time you’re enjoying the summer breeze with your garage door open, the sun won’t get in the way.